Midday on a very hot Saturday, my 5-year-old nephew and I walked through The Dig Atlantis in our swimsuits, making squishing sounds with our rubber sandals. “I want to live in The Dig,” I told him. 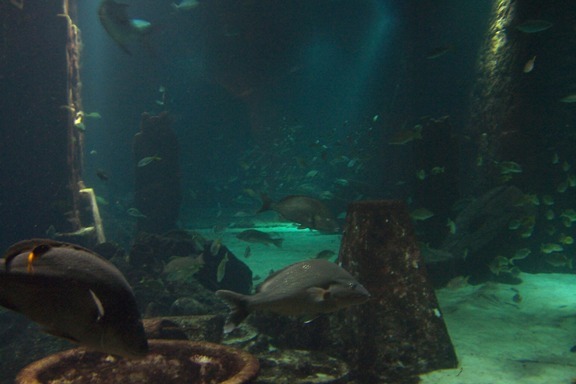 The Dig is an artistic rendering of what it would be like to enter an old archeological dig that had uncovered the remains of the sunken Atlantis of legend. 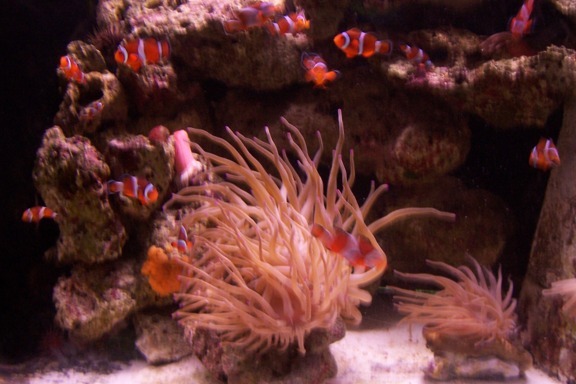 The aquariums teem with sea life and feature underwater remnants of the Lost City. The effect is wonderfully eerie at times seeing the huge manta rays gliding effortlessly through the silent world that once was a great civilization. 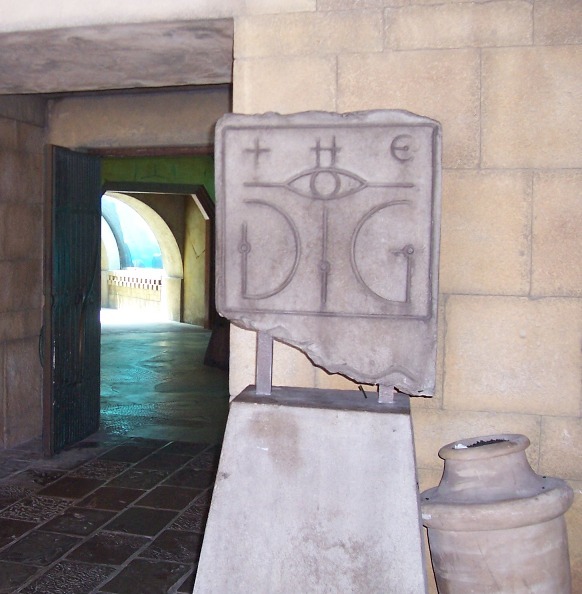 For me, The Dig is the best part of Atlantis. During my stay, I have to walk through it at least once a day. 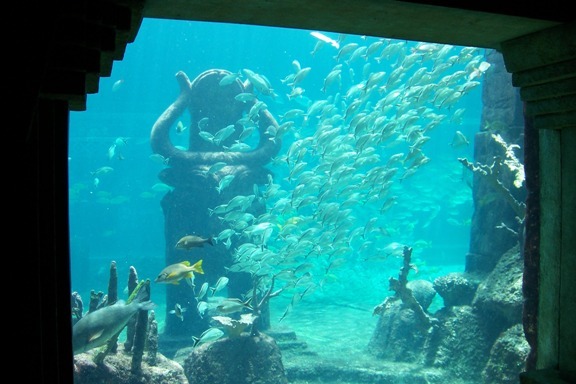 People who are not staying at Atlantis take the Discover Atlantis guided tour through The Dig, but Atlantis guests can enter at any time. 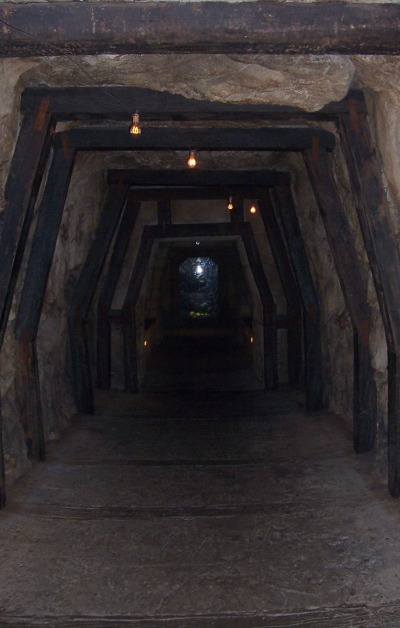 If possible, walk through the Dig at night at least once. 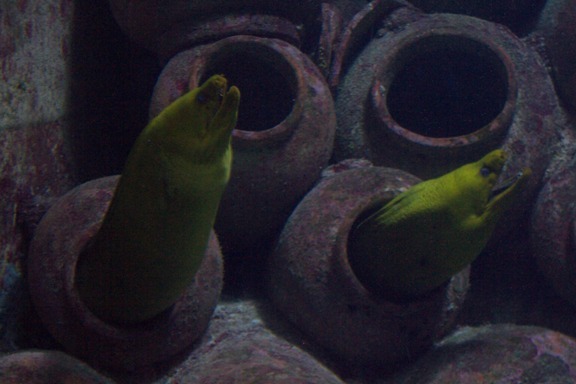 It's an unforgettable experience to be alone in the dark with the sea creatures and the ruins. 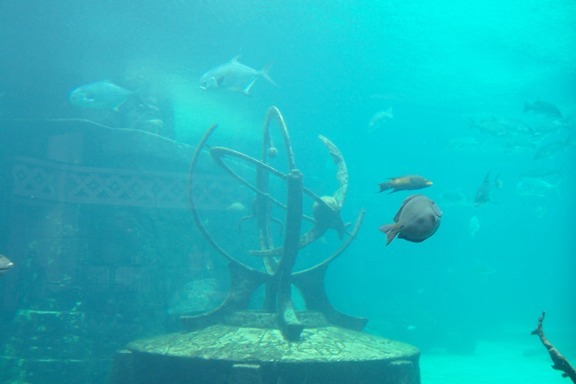 You'll find other underwater viewing tunnels in the Atlantis Aquariums, but none with spooky sound effects and weird and wonderful artifacts from the Lost City. 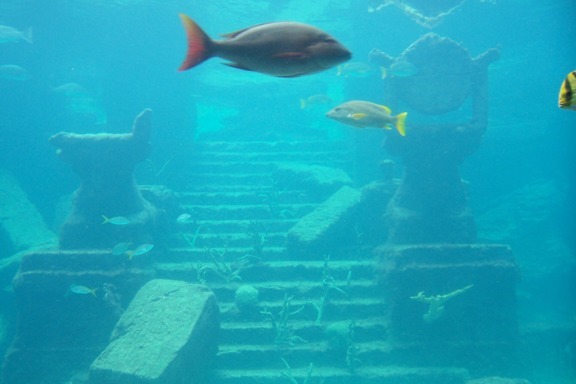 Remnants of the Lost City. Where might these stairs have led? A majestic Manta Ray swimming by night. 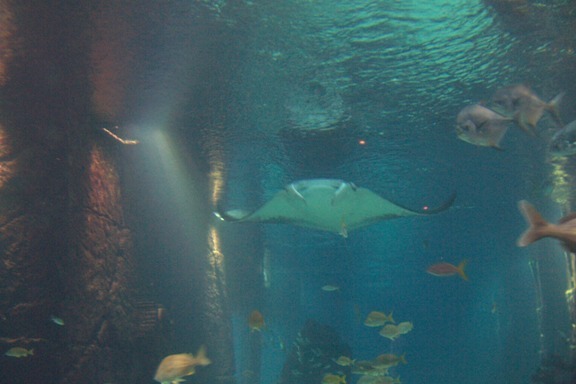 The rays look like they're flying through the water. 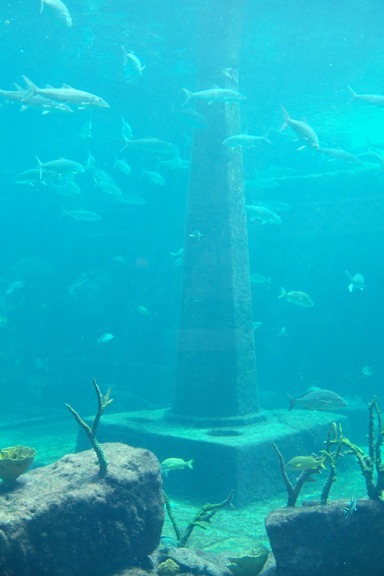 A strange obelisk among the ruins. 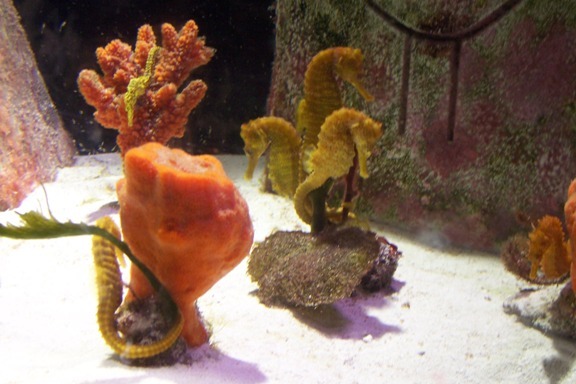 Seahorses holding on to aquatic plants with their curly tails. Don't miss the Photo Slideshow of The Dig and The Dig in video.